"The staff is very caring. It is very clean and very nice. My mom has always liked the food; she thought it was very good." - Jennifer V.
From intensive short term rehabilitation therapy to longer-term restorative care, Birchwood Terrace provides a full range of nursing care and social services to treat and support each of our patients and residents. Continued care also plays a crucial role in our program – we understand that when people are discharged from a traditional hospital, they often need continued care in order to recover completely. Our clinical capabilities allow us to accept patients with greater medical complexity than a traditional nursing home. This is increasingly important as many patients require transitional care before they are ready to return home. Please reach out to our team with any questions. From intensive short term rehabilitation therapy to longer-term restorative care, Birchwood Terrace provides a full range of nursing care and social services to treat and support each of our residents. Typically, residents have medical conditions that require the expertise of our interdisciplinary team of healthcare professionals. The team includes the patient or resident’s attending physician, medical specialists, therapists, registered and licensed nurses, social workers, registered dietitians, activity directors and nursing assistants. At Birchwood Terrace we offer a comfortable, home-like environment where residents receive personalized care and attention. We encourage and assist residents to remain as independent as possible, and we encourage family involvement in the care of their loved one. Upon admission to our center, all residents are assessed by members of our interdisciplinary team to determine what nursing care and rehabilitation therapy is required. Then, a comprehensive, customized treatment plan is developed. 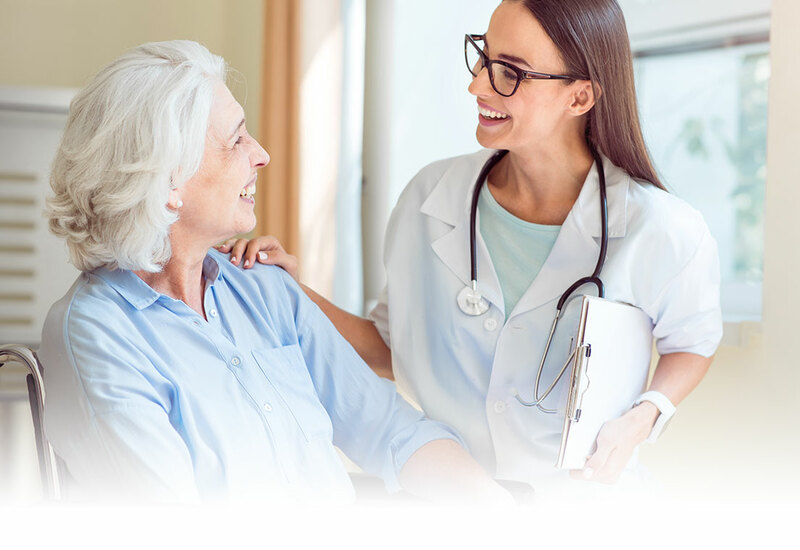 Residents are assisted to reach their goals for recovery in a home-like environment by our team of caring and highly-qualified healthcare professionals. Our mission is to help each resident reach his or her highest level of functioning. We are dedicated to being the provider of choice for health and rehabilitation care. We would like to introduce you to our recovery programs by describing key components. These programs were developed to meet the needs of the community and provide enhanced services for patients with specific health needs or chronic illness. Stay up-to-date with everything going on at Birchwood Terrace! View Our Events! If you are satisfied with the service you received from us, please let us know. Review Us! "The nursing was fantastic and very attentive. The staff was very friendly and welcoming. We are very grateful for such a positive experience." - Jacob C.
"I can not say enough wonderful things about this place. The staff is so loving and caring to each and every resident. What a great feeling to know that my mom has been so well taken care." - Dennis M.
"We can't say enough good things. All of the nurses and caregivers were kind and compassionate, not just to the residents but also to my sister and me." - Matthew S.
We would love to answer any and all questions you may have regarding our services.